Marshall JMD-1 combo. These are built with black piping and plain rocker switches. 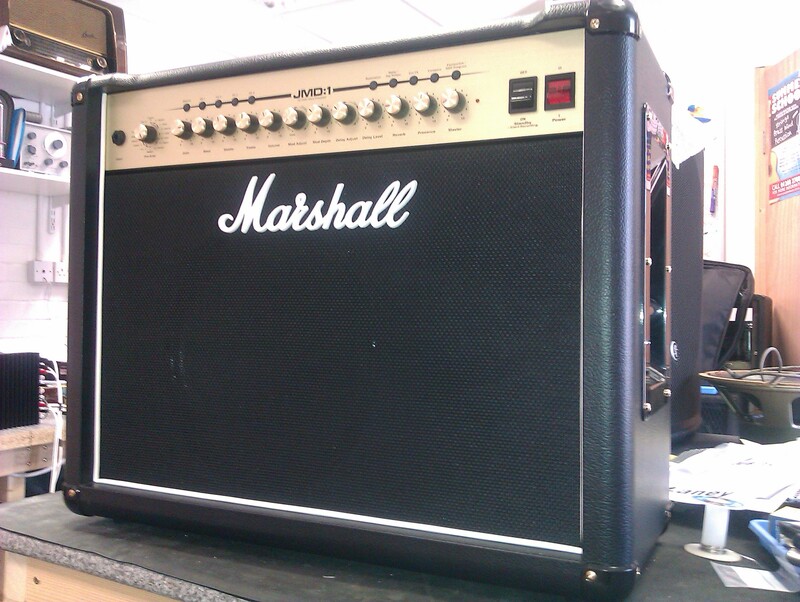 The customer wanted his amp to have a more classic Marshall style. We obliged by fitting white piping and the JMP style rocker switches. The amp now looks much classier with its new trim.